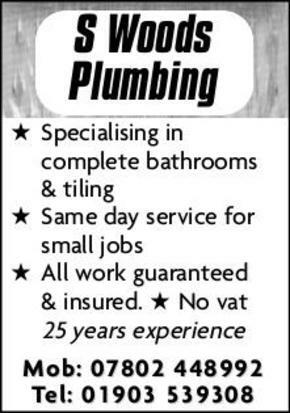 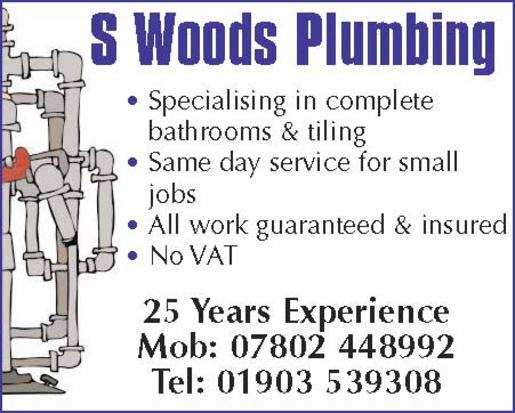 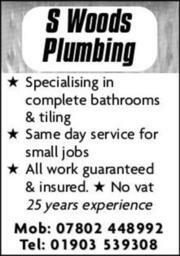 Call S Woods plumbing now for all your plumbing and heating needs. 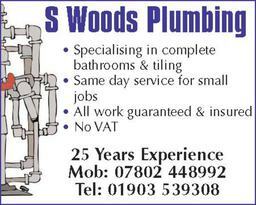 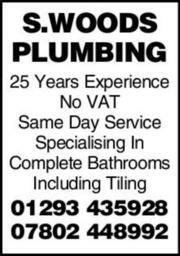 Fast, reliable and competitive in both the Worthing & Crawley area. 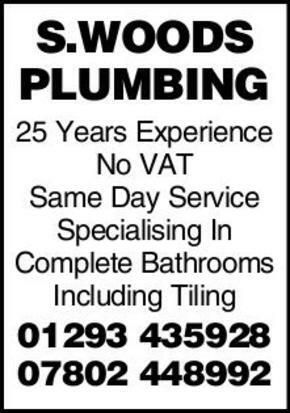 All quotes are free and come with no obligation.